The Bulb Planter is a stand-up tool that easily cuts planting holes and then expels the soil right where you want it. 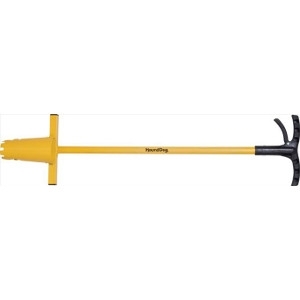 The unique hand release opens the digging spades to easily expel the soil. The Bulb Planter guarantees consistent depth when planting multiple plants and is great for easy transplanting!